When looking at old German documents we will often find a kind of handwriting that is, at first sight, similar to the one we use today, but still so much different that it’s illegible to most of us. This Kurrent script, sometimes simply called “Old German Script” or “German cursive”, was used into the first part of the 20th century in all German speaking countries and, with a few changes, also in Scandinavia. 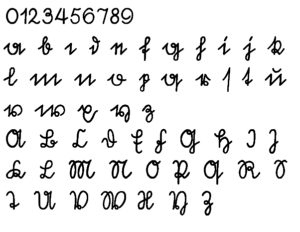 1911, the graphic artist Ludwig Sütterlin developed a more modern version of the Kurrent script, the Sütterlin script. With its broad, simplified letters, the Sütterlin script was designed to facilitate the learning process of reading and writing for schoolchildren. 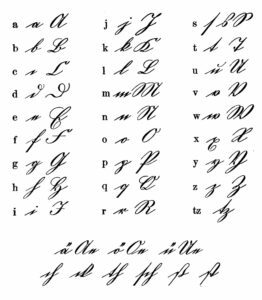 1941, the use of Kurrent and Sütterlin script was banned in the German Reich, and schools started to teach modern cursive instead. That is why only very few people are still able to read the old scripts today.